Tomorrow is Thanksgiving and Jared and I are waking up extra early to drive from Seattle to Silverstar Mountain in British Columbia. If the holiday is anything like last year, it will consist of the repeated actions of eating, skiing, eating again, skiing again, hot tubbing and sleeping. It's a schedule I can happily adapt to for the long weekend. To prepare for a road trip, we make sure that playlists and podcasts are downloaded, our pillows are packed, and that snacks are always within reach. We emphasize food, and not the kind you can pick up from the gas station. (*Except for Salsitas chips. I can't resist a bag of those.) With a 7-hour drive on the agenda tomorrow, I wanted to make something sweet but healthy and satisfying. And in keeping with the Fall and Thanksgiving theme, I really wanted it to include pumpkin. I was inspired by the wonderful recipes at "Lee from America" and made slight adaptations to her "pumpkin fat ball" recipe. 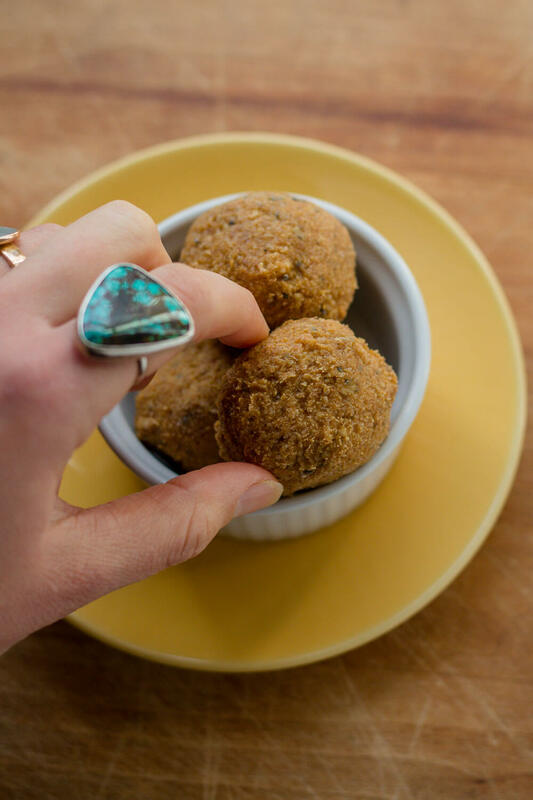 Armed with a food processor and bulk ingredients that we purchased from Costco, these energy bites were a breeze to make. From beginning to end (dishes included) I spent 15 minutes in the kitchen and ended up with 10 energy bites for our drive tomorrow. I've already tested one and the only change I would make is adding cacao nibs because chocolate makes everything better, right? If you give this recipe a try let me know how they turned out! 1. 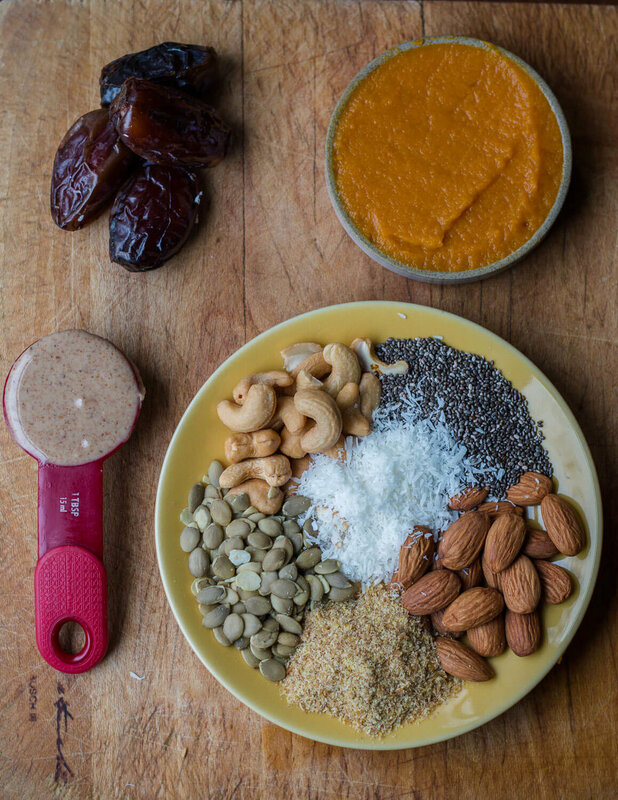 Combine the dry ingredients and pumpkin puree in a food processor. The dough will clump so stop the processor every now and again to scrape the sides with a spatula. 2. Add almond butter and almond milk and process again until the ingredients are at your desired consistency. I processed for 30 seconds-1 minutes. 3. Roll the dough into balls and place in the freezer. I let mine sit for 3 hours. 4. Remove from the freezer when ready to eat and let it thaw for a few minutes.